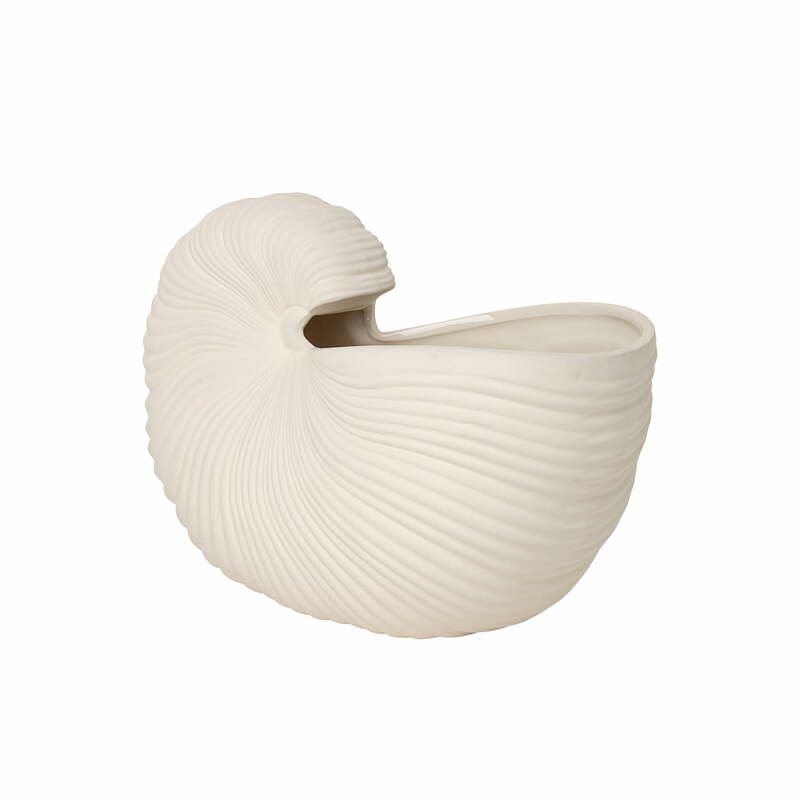 The Shell Pot from ferm Living brings the sea into your own four walls. The flower pot in the form of a shell convinces by its maritime appearance and brings a fresh breeze into every living room. The stoneware shell can be used as a vase or plant pot. While the rough exterior gives the vase a natural look, the interior is glazed to prevent water, soil and the like from leaking out of the vase. Single flowers, sumptuous bouquets but also houseplants are beautifully set in scene in the vase in the form of a lying shell. 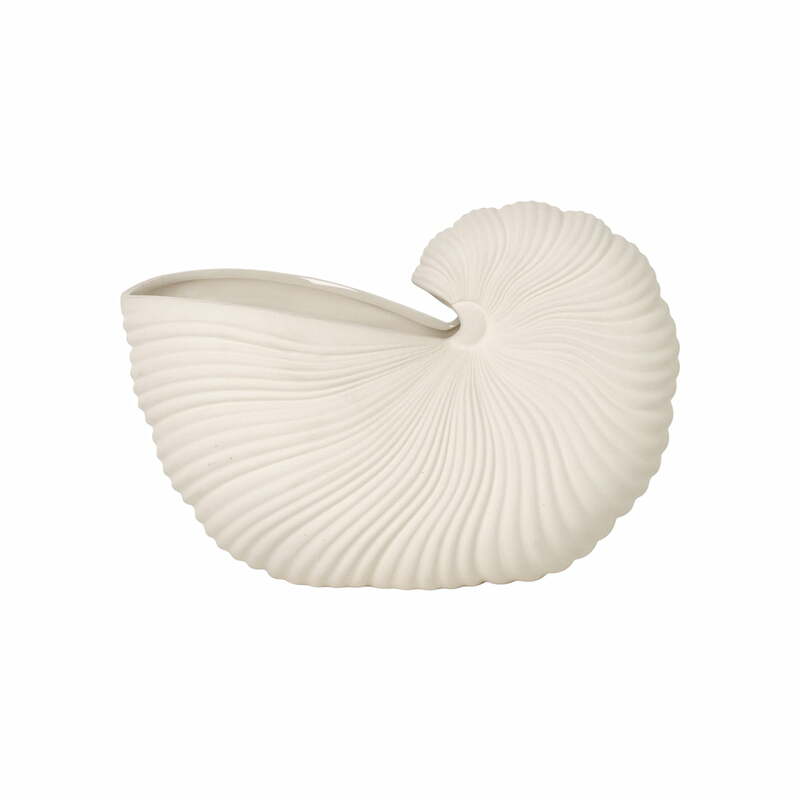 Even without flowers, the Shell Pot is an eye-catcher in the living area. Shell Pot from ferm Living in off-white in single view. The vase is made of stoneware. While the rough exterior gives the vase a natural look, the interior is glazed to prevent water, soil and the like from leaking out of the vase. Orb watering can and Schell Pot from ferm Living in the ambience view. 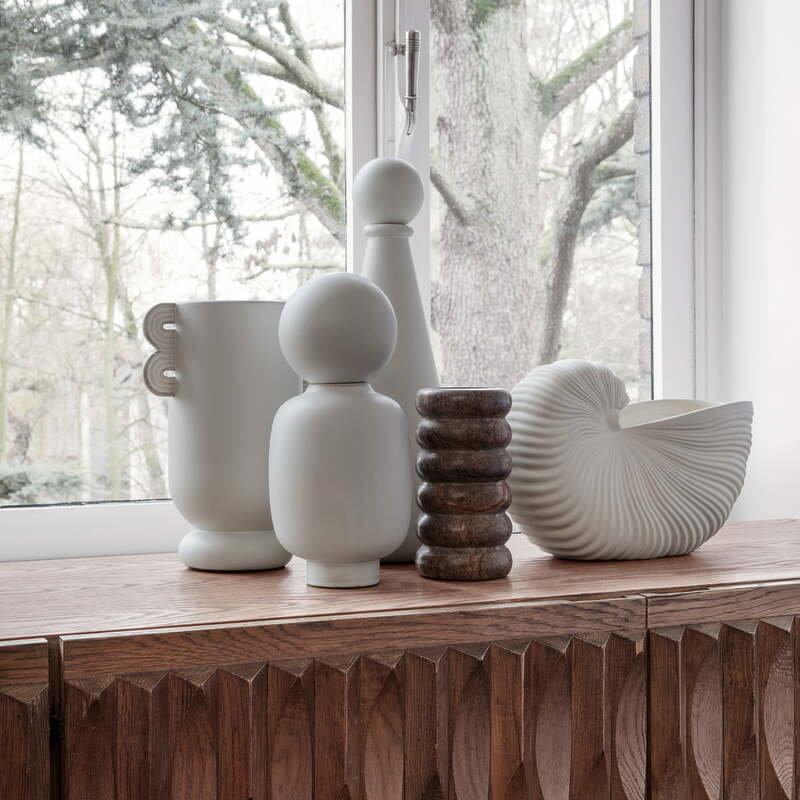 ferm Living's decorative articles can be wonderfully arranged together in a living environment. 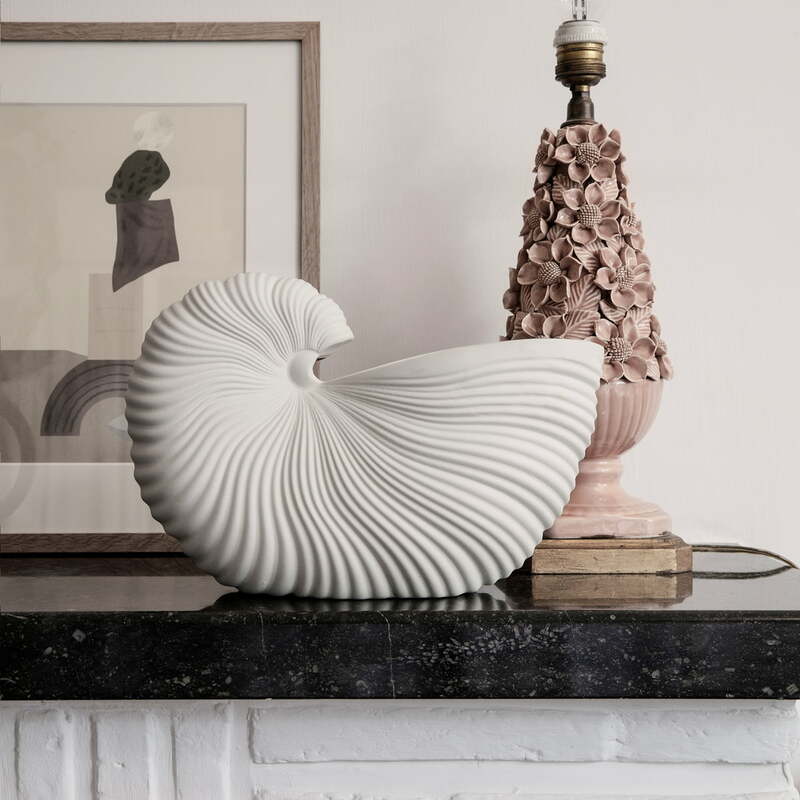 The Shell Pot flower pot in the form of a shell from ferm Living convinces with its maritime appearance and brings a fresh breeze into every living room. 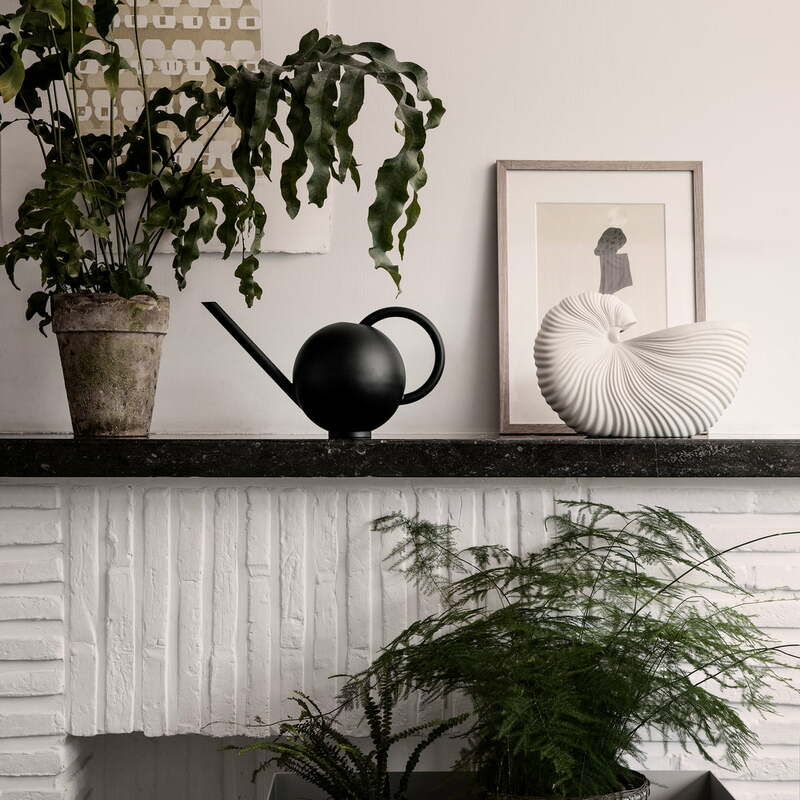 The Shell Pot from ferm Living in off-white in the ambience view. With but also without flowers or plants the Shell Pot becomes an eye-catcher in the living area.